We know. 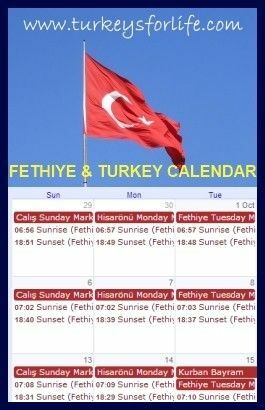 No Fethiye news update last month. At least once or twice a year, we end up doing a bit of a bumper 2-month catch up and this is one of those occasions. We were on a little jaunt to Bodrum and Datça at the end of April / beginning of May and, by the time we got back home to Fethiye, well, the moment had passed. Never fear. We won’t be ploughing through every single little detail about what we’ve got up to in the last couple of months or what’s been going on around town – let’s just scoot through the main bits. Firs things first; the cycle path in Fethiye. There’s been one for a while, running along the seafront road between Fethiye and Çalış but cyclists, quite understandably, used it reluctantly as it was so close to the road traffic. All that has now changed. The cycle path has now been moved and runs directly alongside the running track. Both will eventually wind their way through the new recreation zone in front of the Devlet Hospital, too. …at the top end of the harbour, close to the entrance to Paspatur and Iskele Restaurant, the lanes were being marked out. How all this is going to work in practice remains to be seen. The harbour has become narrower for pedestrians, especially in mornings and evenings when crowds gather to get on an off boats for the daily boat trips. And cyclists, we guess, are going to have to follow road rules of making sure they’re riding on the right. Of course, a few scooters are taking advantage of the cycle path, too. Let’s hope, once it’s finished and established, the whole length of the harbour is safer for everyone. 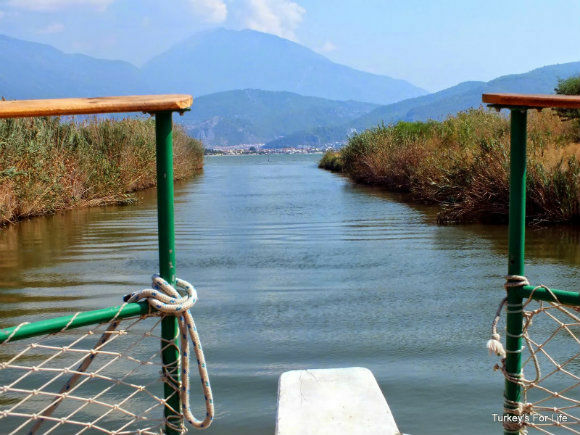 Lots of people in Fethiye consider May 1st to be the start of the summer season and certainly, that’s always our first sighting of the Fethiye to Çalış water taxi. So that’s been chugging across the bay for a month, now. For other businesses that are not open year round, they come out of hibernation as and when throughout the month of May. Ovacık and Hisarönü, for example, where the temperatures are cooler, use May to get themselves into action. The likes of Ölüdeniz Water World and hotels like Hotel Leytur are all now fully up and running. We’ll be using the month of June to bring our Fethiye Beaches page right up to date as new places have opened their doors for the 2018 summer season. In Fethiye itself, around the peninsula, we have the new JJ Beach Park. The stunning Help Beach got their 2018 season underway in April. No shuttle boat this year from Fethiye centre but they are doing service buses and private transfers, too. JJ Beach Park was formerly Büyük Boncuklu and the Taşyaka-Karagözler dolmuş is now going beyond Küleli and as far as JJ throughout summer. Around the lagoon in Ölüdeniz, the private beaches opened at the beginning of the month and newcomers, Paradise Beach got an early start, opening in April. Oh, and of course, the fountains of Uğur Mumcu Park are all cleaned up and in full working order. They’re delighting locals and tourists alike…and the lovable street dogs who need a random cool-down dip on occasion. Wishing everyone a bumper summer season – a lot of people have been waiting a long time to feel this optimistic! In April, over Easter weekend, we had some fantastic spring weather so we decided to make the most of it. We know it’s not Easter here but we like that Bank Holiday Weekend feeling. A day trip to Kayaköy took us to pastures new when we finally made it to Izela Restaurant for a yummy lunch. After fuelling ourselves there, we took ourselves up the hill and over to Cold Water Bay. A hike we’ve not done in a long time. By the time Bank Holiday Monday came along, the sun was still shining. Once more on with the hiking boots and, this time, another hike we’ve not done for many years: Ovacık to Faralya along the Lycian Way. 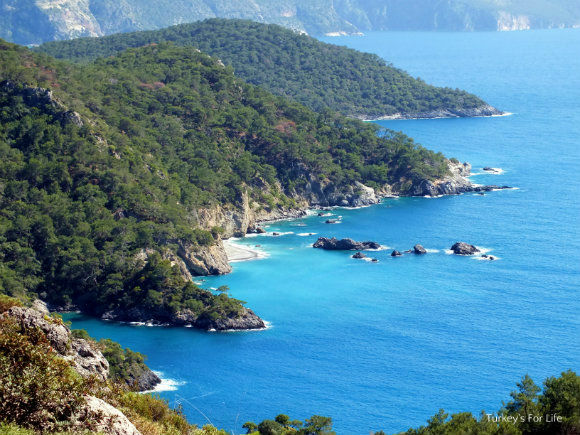 Those two walks have been added to our Fethiye Walks page. We’ve been busy with our Fethiye restaurants and bars page, too, over the last few weeks. As well as the addition of Izela to the Kayaköy section, we had a brand new addition for the Çalış section. Babzen Kebab opened its doors and has already built a fantastic reputation. Rightly so, too. Their kebabs are top notch! In the Fethiye sections, eating at Boğaziçi Restaurant meant we could bring that old article right up to date. We also decided to revisit a favourite from old that had slipped under the radar. Paşa Kebap. Warmer weather means thoughts for the menu at home turn to meze. Dips and salads stacked up in the fridge that we can graze on. As I type, it’s also Ramazan, which means we get to enjoy those meze dishes with torn chunks of Ramazan pide bread being dipped into the juices and meze-filled ramekin dishes. The last few weeks have seen the shelves of our fridge being home to lots of homemade treats for grazing: yoğurtlu havuç and, after spotting some samphire on the market, geren. More hefty salads have included green lentil salad and another of our favourites, kısır. Both are filling and yet so light and healthy. As for new additions to out collection of Turkish recipes, it’s erik season at the moment. We did a Gaziantep (a UNESCO Turkish city of gastronomy) dish, erik tavası. 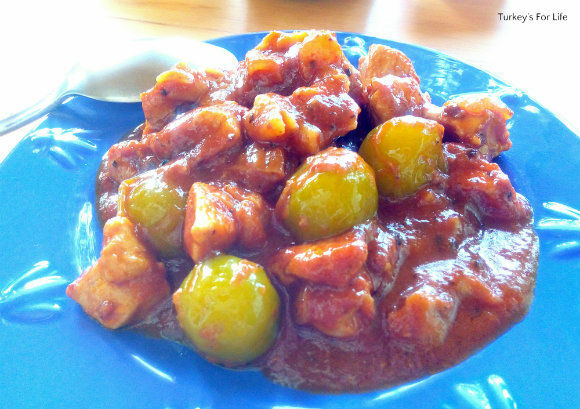 If you’ve never tried cooked greengages before, this is a good recipe to start with. The 2017-18 season finished at the beginning of May and, thankfully, we survived. No relegation to Lig 3! You can click here to see all the results for the season and click on the individual match scores to see the stats. League position and top goalscorers are seen on this page. The new season usually begins in late August, so, if you’re around, keep a look out for when we get the new fixtures and – naturally – new player list. At the moment, though, it’s all about voting in the new management committee. If you follow us on Instagram as well as Facebook, you’ll know we don’t run identical accounts. We treat our social media platforms differently just because we feel they have different personalities and we publish a lot of photos on Instagram that wouldn’t necessarily make our Facebook page. Having said that, we did make this photo our Facebook page cover photo. A scene from our Lycian Way hike (if you are reading in your email and can’t see the image, click here to view it online). Looks like it was a good choice as, where Fethiye is concerned, this has been our most popular (Fethiye) photo of the last couple of months on Instagram.